Cape Cottage in Oneroa village is beautifully presented and well equipped for a relaxing family holiday by the sea. Situated in close proximity to the shops, galleries and cafes and a short walk to the white sands of Oneroa beach, this 3 bedroom, 2 bathroom property offers all the comforts of home including a lovely gas fire and plenty of room to spread out with family and friends. The open plan kitchen, living and dining areas are light and bright and open the house to spacious decks with outdoor seating, BBQ and cottage garden. Close proximity to Mudbrick and Cable Bay vineyards. Fantastic house, modern kitchen and bathroom, lots of outdoor space - including deck, veranda and garden seating. Comfortable beds, 5 m walk to Oneroa shops - will definitely be staying again! Lovely and clean, very well presented, and very comfortable. This little property is a gem...very well positioned to all the cafes, restaurants, shops and busses. So close to the beach with lovely walks and views. Ideal for 3 couples! PS lovely linen and beds so comfortable. The house was absolutely gorgeous! Great location, easy walk to Oneroa shops etc. 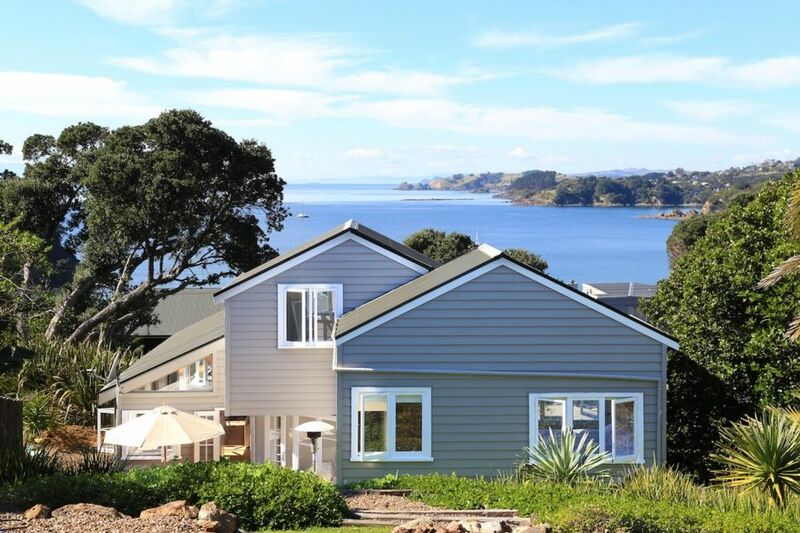 Beautiful and charachteristic home in a perfect spot on Waiheke. Beautiful and charachteristic home in a perfect spot on Waiheke. Attention to detail has been applied in every room, the beds were extremely comfy and linen ultra clean and the kitchen is well equiped with all the equipment, the whole place in fact. Thank you and we higgly recommend to anyone who wants a stylish and relaxing stay on the beautiful island.